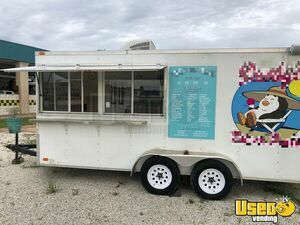 Get into the popular mobile food business with this used 9' x 16' 2014 food concession trailer that is in like new condition! See further details of this unit down below. 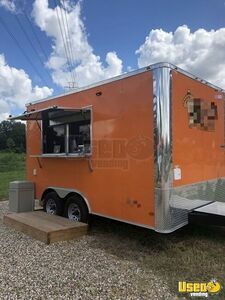 2018 - 8.5' x 20' Food Concession Trailer with Porch for Sale in Texas!!! Be that trend-setting chef in the street-side cooking community! 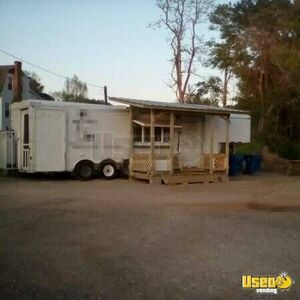 This 2018 model 8.5' wide and 20' long food concession trailer with porch is ready for your business run. The kitchen inside was installed in 2019! More details can be seen below. Don't delay- get this business deal right away! 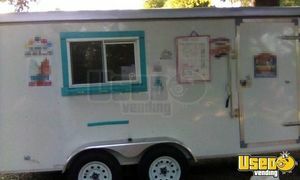 This is a 2011 model Victory V-Nose concession trailer that's set up for Sno-Cones! This unit is 7' wide and 16' long with 7' of inside standing height. More details can be seen down below. 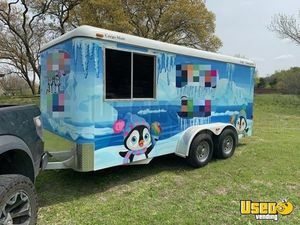 2017 - 16' Used Cargo Mate Shaved Ice Concession Trailer for Sale in Texas!!! Be the proud owner of flavorful mobile snoball concession business! Start a memorable career with this 2017 model 16' long custom all steel used Cargo Mate shaved ice concession trailer! See more details and features down below. Make the drink mix that can lead you to success! 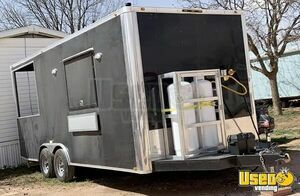 Start your awesome career with this 2014 model 20' long used beverage / coffee concession trailer! More details can be seen down below. 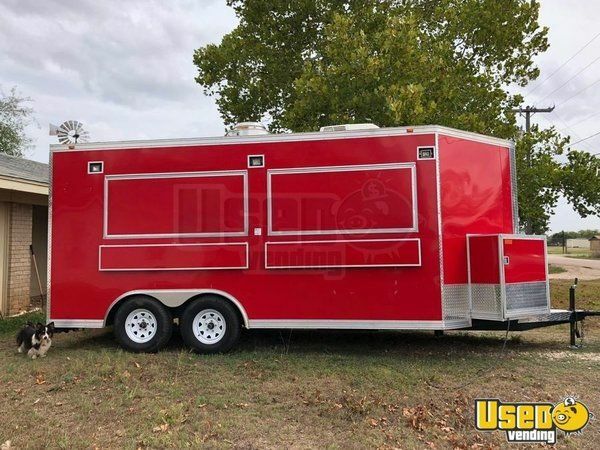 Grow your mobile food fanbase when you roll out with this 2011 model 8' wide and 16' long Lark food concession trailer with 7.4' of inside standing height! See more information below. 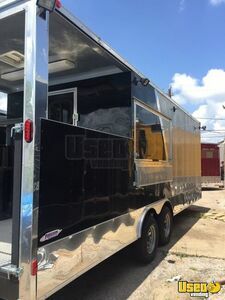 2017 - 32' Food Concession Trailer with Porch for Sale in Texas!!! This is an opportunity you cannot miss! 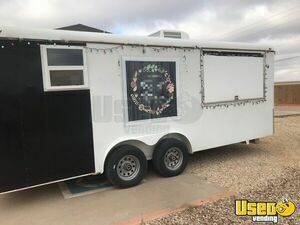 This is a 2017 model food concession trailer with porch that is in like new condition! 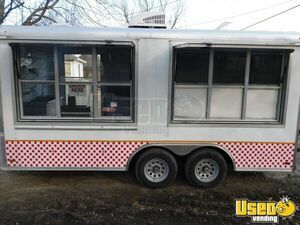 You can check out more details of this mobile cooking unit down below. 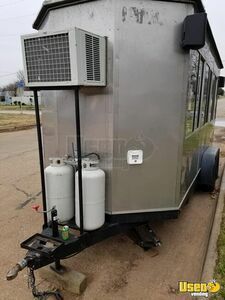 2017 - 8.5' x 18' Beverage Concession Trailer with Porch for Sale in Texas!!! Mix up your career with the convenience of mobility! Get this 2017 model 8.5' wide and 18' long beverage / coffee concession trailer with 7.6' of inside standing height! See more details below. Be a master gourmet snowball maker when you get your hands on this 2017 model 8' wide and 14' long Sno-Pro shaved ice concession trailer! See further details of this unit below. 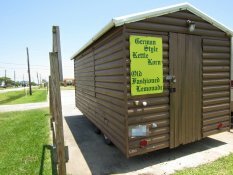 6' x 14' Shaved Ice Concession Trailer for Sale in Texas!!! Make any day extra special when you serve flavorful icy treats! 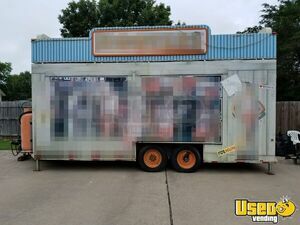 Hurry up and grab this 6' wide and 14' long Wells Cargo shaved ice concession trailer with 6' of inside standing height! More details are shown below. Earn the top spot in mobile grilling! 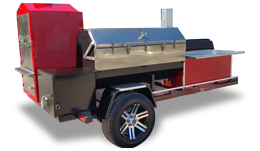 Grab this 2017 model 8' wide and 16' long barbecue concession trailer and start your street grilled meat business now! Kitchen was installed in 2018. More details are shown below. 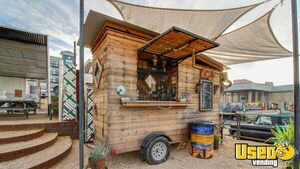 Make perfectly brewed coffee every single day when you roll up with this 2014 model, custom built, rustic design coffee concession trailer that is 4.5' wide and 16' long! See further information down below. Be the hottest topic in the street food business industry! 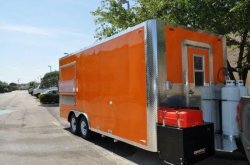 Begin your smokin' restaurant trailer with this 2017 model barbecue concession trailer with porch! More details can be seen below. 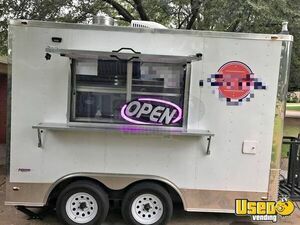 8' x 20' Food Concession Trailer for Sale in Texas!!! 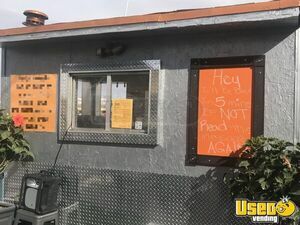 Bring your awesome food ideas to life when you get started in your restaurant trailer business! 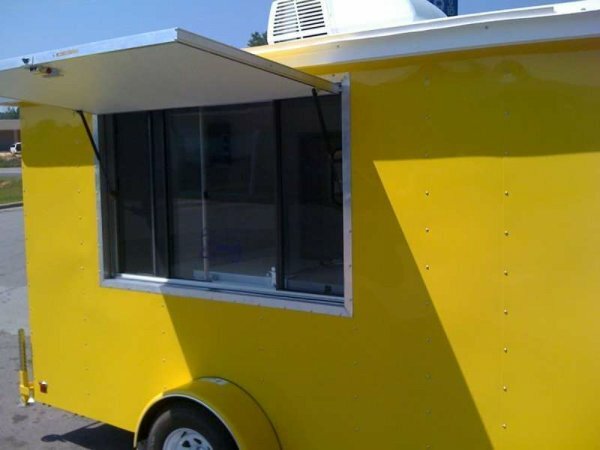 This 8' wide and 20' long food concession trailer is ready to start with you! Check out more details and features below. Put all your food business ideas on that grill! 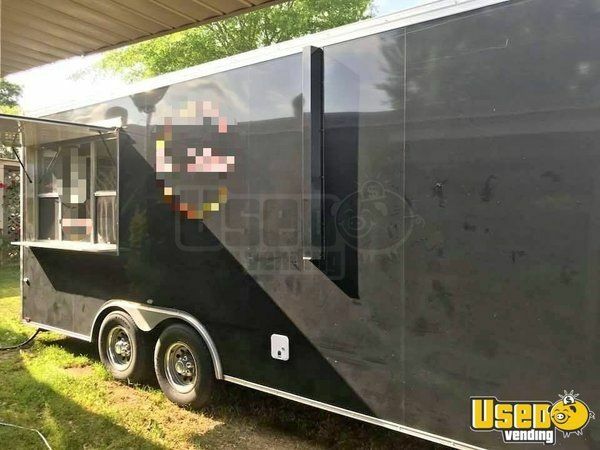 Grab this 2008 - 7' x 16.5' barbecue concession trailer with porch then start the most awesome mobile grilled-meat business the city has ever seen! See more details below. 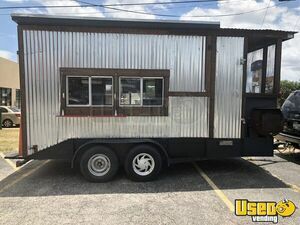 2018 - 7' x 15' Food Concession Trailer for Sale in Texas!!! 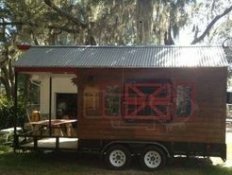 No need to start your kitchen trailer business scratch! You can start with this brand new 2018 model 7' wide and 15' long food concession trailer that's ready for your set up! See more details below. 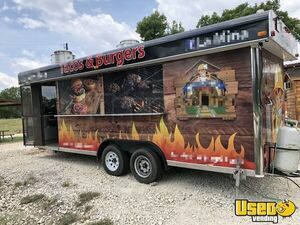 2018 - 8' x 18' Food Concession Trailer for Sale in Texas!!! 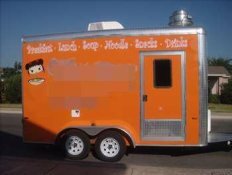 Get an awesome unit that will carry your brand in the street food business industry! 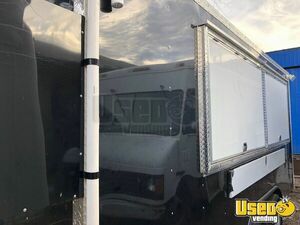 Get this 2018 8' x 18' mobile kitchen trailer! See further details and features below. 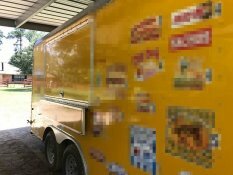 8' x 24' Ice Cream Concession Trailer Business for Sale in Texas!!! Start the most amazing ice cream business ever! Don't just sell them, make them! 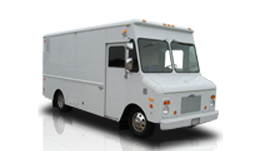 This is a 2004 model 8' wide and 24' long mobile creamery unit with 6.8' of inside standing height! The real crowd-catching feature about this unit are the two 1929, 1 1/2 horse power John Deere Hit and Miss motors (which have been recently rebuilt), an attachable and detachable electric motor for indoor events. See more details and features below. 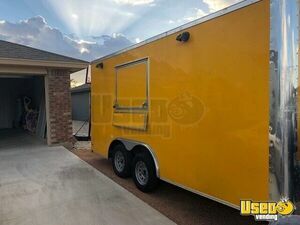 2018 - 8' x 24' BBQ Concession Trailer with Porch for Sale in Texas!!! Don't just go to any outdoor food party, be the party! 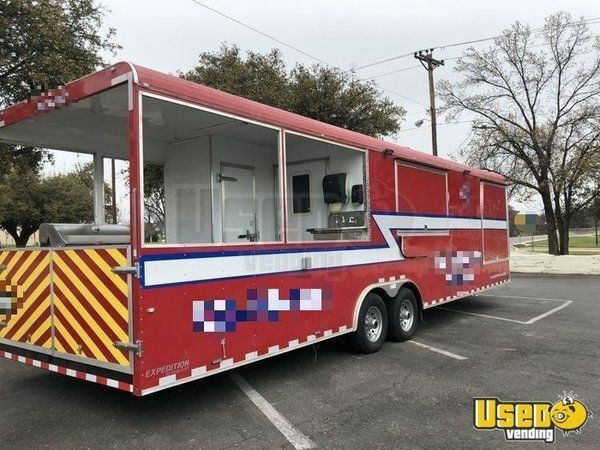 Start an awesome mobile grilling business with this 2018 model 8' wide and 24' long street barbecue concession unit that has a porch! Only used for 2 months. Further details and features of this unit are shown below. 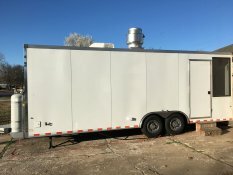 2017 - 7' x 15' Food Concession Trailer for Sale in Texas!!! 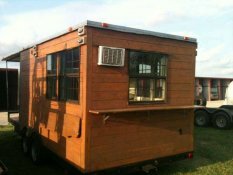 For your consideration is this ready to go kitchen trailer business opportunity! This is a brand new, 2017 model 7' wide and 15' long food concession trailer! This is an unbelievable chance to get into the mobile food concession business. See more details below. 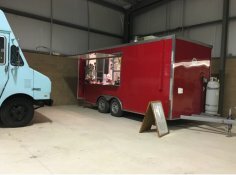 2017 - 7' x 16' Food Concession Trailer for Sale in Texas!!! Show your creative side in your very own street food business! Get started with this 2017 model 7' wide and 16' long mobile food concession unit with an inside standing height of 7'. See more details below. Need a mobile food concession unit that's equipped and ready to go? Grab this 2018 model Cargo Mate 8.5' wide and 16' long kitchen trailer and start your business! See more details down below. Make your original flavors lead the way in your mobile food business adventure! 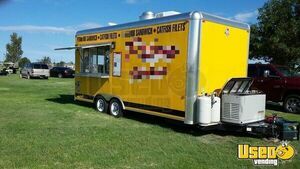 Start a food trailer business with this 2017 model 8' wide and 20' long food concession trailer! See more details and features below. Start in a big way in your mobile food business! Start with this 2018 model 8.5' wide and 24' long food concession trailer that has 7.5' of inside standing height! Has not one, but THREE vertical broilers! See more details below. 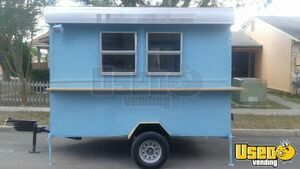 Vintage 7.5' x 15' Ice Cream Concession Trailer for Sale in Texas!!! Make the tastiest ice cream in town! 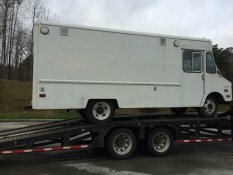 Start your own mobile ice cream concession business with this vintage 7.5' wide and 15' long ice cream concession trailer that has a 2018 build kitchen inside! This can be used for other types of food. See further information down below. 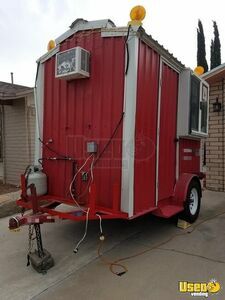 2010 - 10' x 12' Shaved Ice Concession Trailer for Sale in Texas!!! 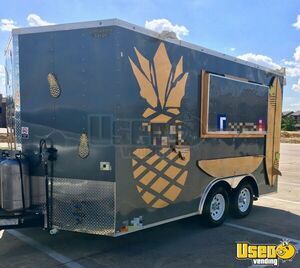 Serve awesome flavors daily when you roll up with this 2010 model 10' wide and 12' long shaved ice concession trailer that is in very good condition! See more details and features below. 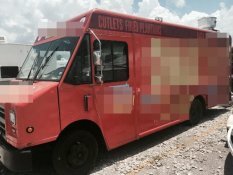 There's no stopping you in starting your awesome mobile food concession business! 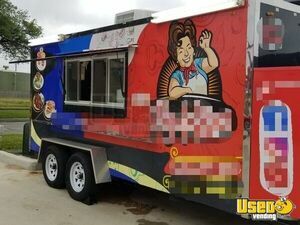 Roll up to any street food business event with this 2007 model 24' long food concession trailer that's in very good condition! See more details and features below. 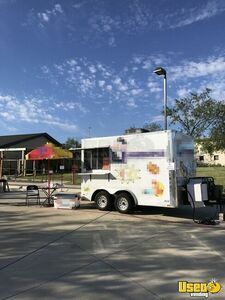 This is a great place to start your mobile food concession business career! 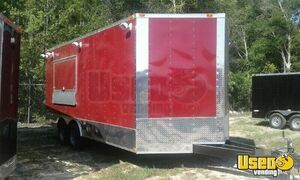 This is a 2008 model 8' wide and 40' long food concession trailer that's ready for you! See more details below. 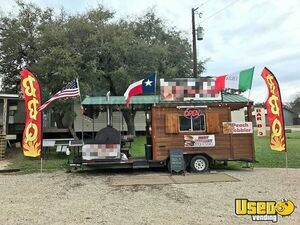 2012 8' x 20' BBQ Concession Trailer with Porch for Sale in Texas!!! 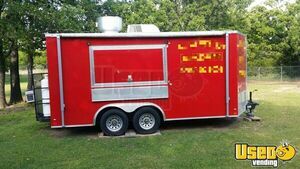 Showcase your original and most awesome BBQ streaks and chops ever with this good condition 2012 8' x 20' BBQ concession trailer with porch! 7'6" inside height. 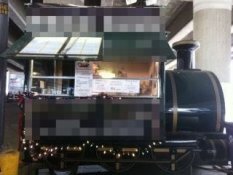 More details if this mobile BBQ concession unit are shown below. 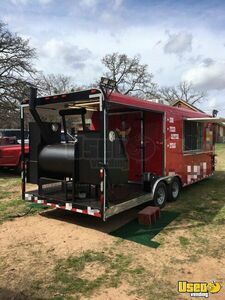 2017 - 16' BBQ Smoker Pit Concession Trailer for Sale in Texas!!! Step up your outdoor cooking game when you get this like new condition 2017 model BBQ concession trailer that is 16' long! Perfect for tailgating & catering. More details and features are shown below. 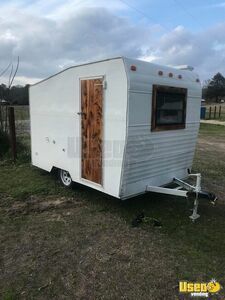 2018 - 8.5' x 24' Food Concession Trailer with Porch for Sale in Texas!!! Get equipped and get ready for the concession action! 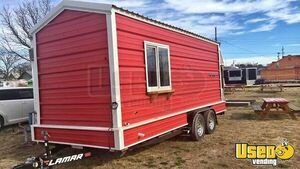 Get this awesome 2018 model 8.5' wide and 24' long food concession trailer with porch! This porch is 10' long. 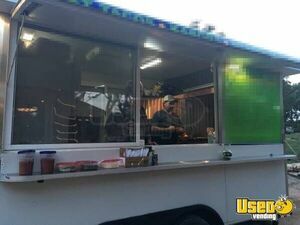 Go on and check out more details of this mobile food concession unit down below. 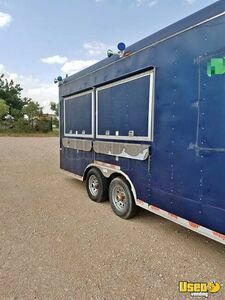 2016 - 7.5' x 20' Food Concession Trailer for Sale in Texas!!! 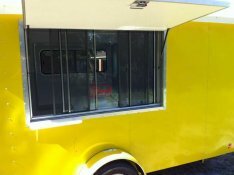 Roll around the city streets with your own mobile food concession business! 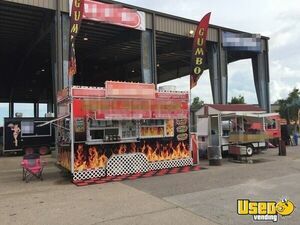 Start with this 2016 model 7.5' wide and 20' long food concession trailer that has 7.8' of inside standing height! Check out more details below. 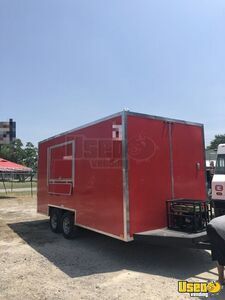 2018 - 8' x 14' Food Concession Trailer for Sale in Texas!!! Earn your way into the top spot of the street food concession business industry! 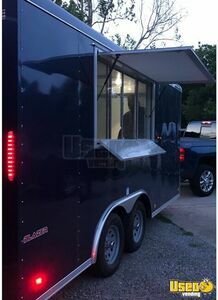 Get started with this 2018 model Freedom food concession trailer that is 8' wide and 14' long with an inside standing height of 7.8'. See more details below. 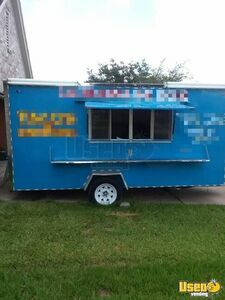 8' x 12' Food Concession Trailer for Sale in Texas!!! 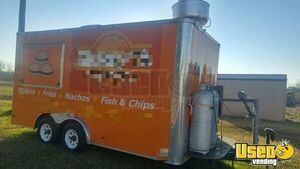 7' x 12' Food Concession Trailer for Sale in Texas!!! Have we got a great deal for you! 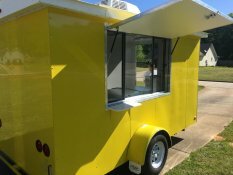 Check out this is 7' wide and 12' long food concession trailer that's great for shaved ice, churros, fries and other types of snacks! More details and features are shown below. 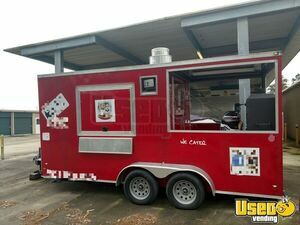 8.5' x 16' Food Concession Trailer for Sale in Texas!!! 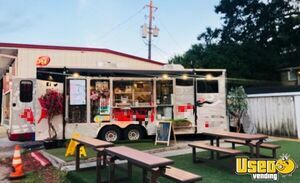 Take the city's street food scene to the next level when you get started with your own food trailer business with this 2017 model Lark food concession trailer that is 8.5' wide and 16' long. See more details down below. 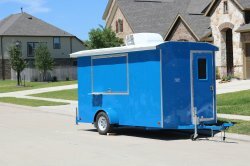 6' x 8' Shaved Ice Concession Trailer for Sale in Texas!!! 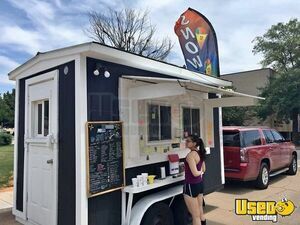 Be cool and stay cool when you get started on your original shaved ice concession business with this 6' wide and 8' long shaved ice concession trailer that has 6' of inside standing height! Big enough for one worker and one additional person. 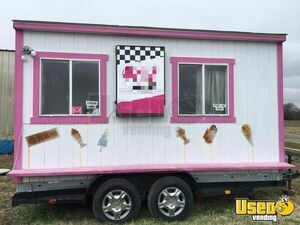 This mobile shaved ice concession unit is turn key! More details can be seen down below. Price for trailer only: $5,405. Price below is for trailer WITH ice shaver. 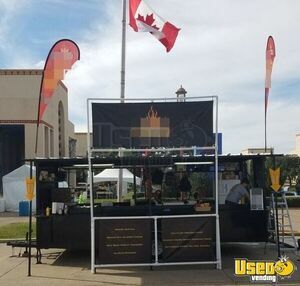 Roll up to any street food event as the BBQ king (or Queen) when you start your mobile BBQ concession business with this 2018 model Freedom BBQ concession trailer with porch! 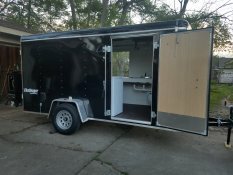 This BBQ trailer is 8.5' wide and 20' long with 7.4' of inside standing height. More details can be seen down below. 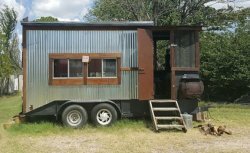 2016 - 8' x 24' BBQ Concession Trailer with Porch for Sale in Texas!!! Make your own way to be the king of the grill! 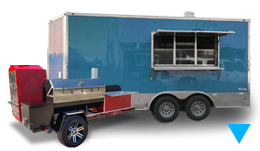 Get started on your mobile BBQ concession business with this 2016 model BBQ concession trailer with porch that is 8' wide and 24' long. Kitchen was installed in 2016. 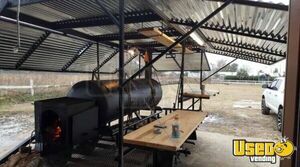 Check down below to know further information about this awesome BBQ trailer. 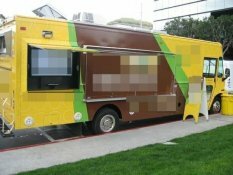 Start your own mobile food concession business in an awesome and memorable way! Start with this 2016 model 8.5' wide and 18' long food concession trailer with 7.5' of inside standing height and a 2016 build kitchen inside! See further information and features below. 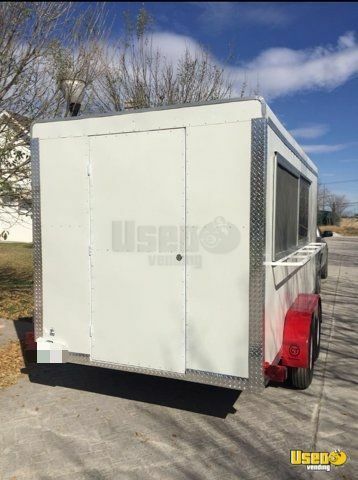 Pair your brand new mobile food concession business with this brand new , never used 2018 model food concession trailer that is 8.5' wide and 16' long. Kitchen was installed in 2018. See further details below. 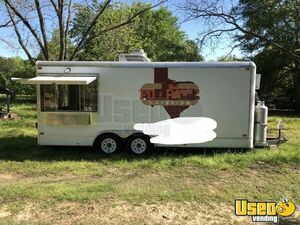 8' x 10' Food Concession Trailer for Sale in Texas!!! 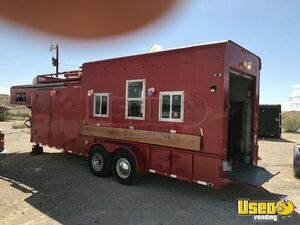 Have a next level outdoor cooking experience with this 2008 model 8' wide and 10' long food concession trailer that has a 2008 build kitchen inside. More details can be seen below. 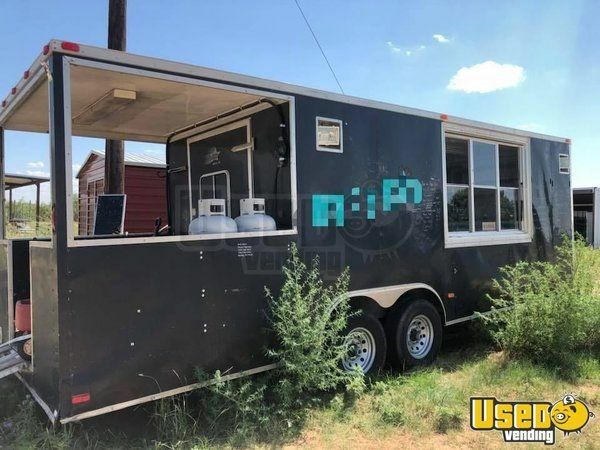 2018 Mini-Donut / Food Concession Trailer for Sale in Texas!!! 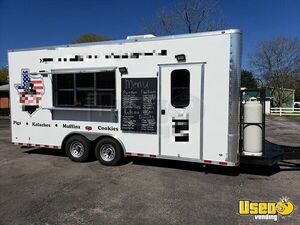 Bring the full force snack attack when you start your own food trailer business with this awesome BRAND NEW 8.5' x 18' food concession trailer that's great for mini donuts and other types of cuisine! The donut equipment is like new, other cooking equipment is NEW, never used. This has tons of potential! Appx 7' inside height. See more features down below. 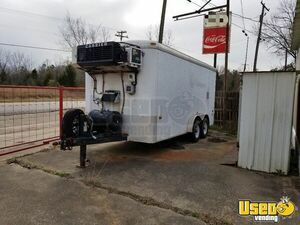 May purchase trailer without donut equipment & large generator for: $49,500. Price below is for entire package. 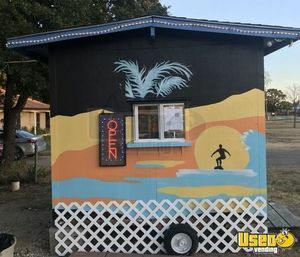 You are one of a kind- your shaved ice / snocone business should be too! 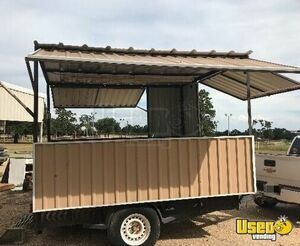 Grab this one of a kind 2012 model 6' wide and 12.6' long shaved ice concession stand on trailer that is featuring a head turning exterior! 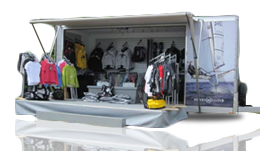 This amazing unit will have your customers lined up around the block. See more awesome features below. Have a fresh start in mobile food / beverage concession business! Grab this brand new 2018 model 8.5' wide and 16' long food concession trailer that has 7' of inside standing height. 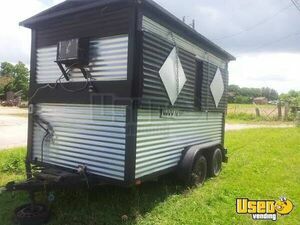 See more details of this concession trailer below. 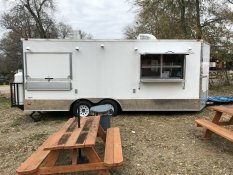 2017 - 8.5' x 14' Food Concession Trailer for Sale in Texas!!! It's time for your mobile food concession business to shine! 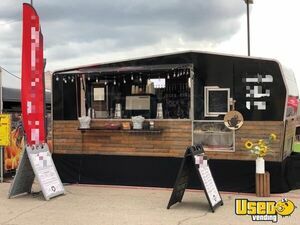 Grab this 2017 model food concession trailer and be part of the street food business scene! 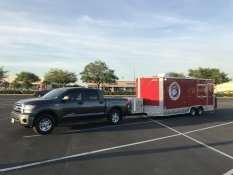 This trailer has 8.5' x 14' of dimensions with an inside standing height of 7.1'. Kitchen was installed in 2017. More details are shown below. 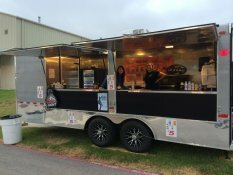 2016 - 8' x 16' Food Concession Trailer for Sale in Texas!!! 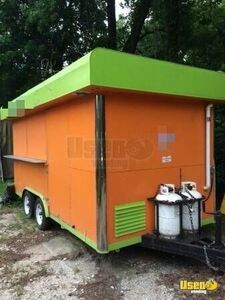 Make this 2016 model 8' x 16' food concession trailer as your starting point in your mobile food concession business career! It has a kitchen that was installed in 2016. Comes with 7' of inside standing height. See more details below. 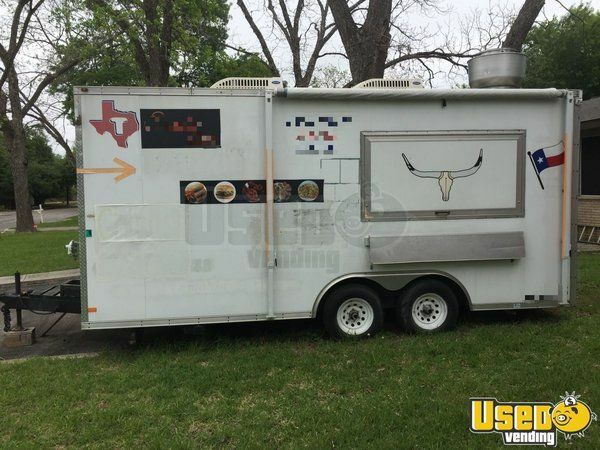 2015 - 7' x 14' Food Concession Trailer for Sale in Texas!!! 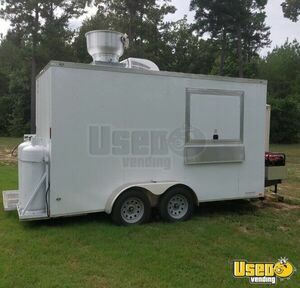 Available now is a great mobile food unit to start your food concession trailer business! 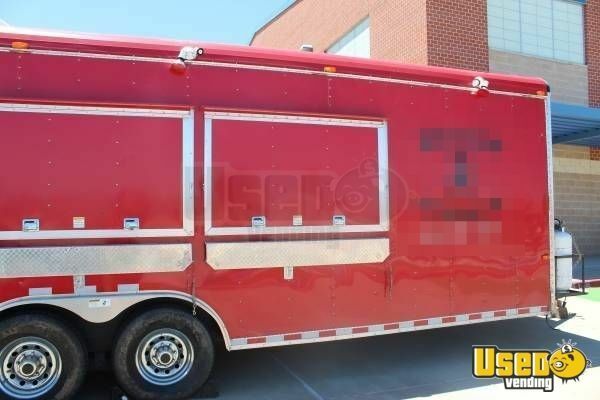 Grab this 2015 model food concession trailer that's 7' wide and 14' long now! See more details below. 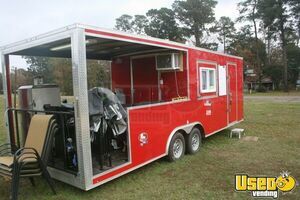 2012 - 22' Corn Roaster Concession Trailer Business for Sale in Texas! 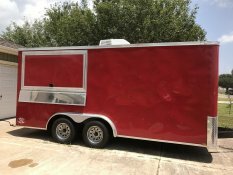 8' x 14' Food Concession Trailer for Sale in Texas!!! Here's a great deal for you! 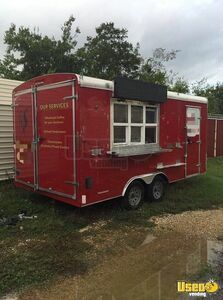 This is a very good condition 8' x 14' food concession trailer that can be used for the start of your mobile food concession business venture! See more details below. 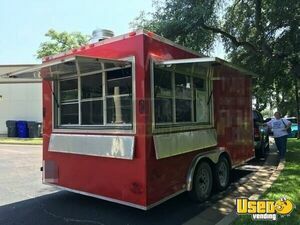 2016 - 8' x 20' Mobile Kitchen Food Concession Trailer for Sale in Texas!!! 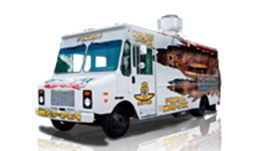 Grab the right mobile food concession unit that can handle all your culinary skills! 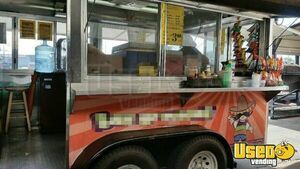 Grab this 8' x 20' 2016 model Concession Nation mobile kitchen food concession trailer that is equipped! Go check out more details below. 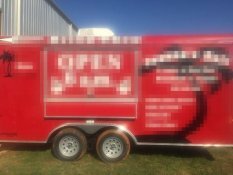 Bring out the best BBQ in town when you start your own mobile BBQ concession business with this 2016 model 8.5' x 24' Freedom BBQ concession trailer with porch! 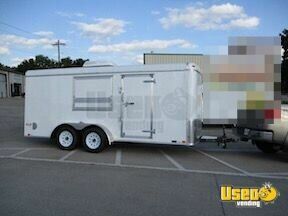 Sale also includes a 16' enclosed utility trailer for extra equipment / product. See more details and features down below. 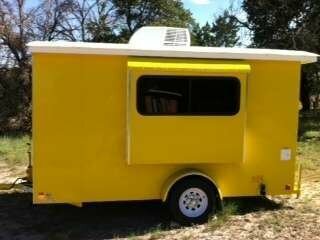 2012 Food Concession Trailer for Sale in Texas!!! There's a great world of mobile food concession business out there! 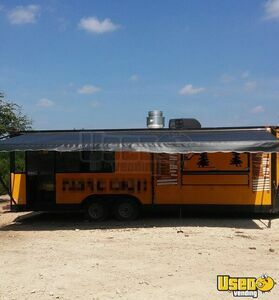 Explore it with his 2012 model food concession trailer that is in very good condition. See more details below. 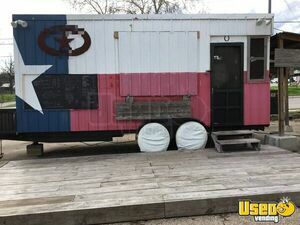 22' Food Concession Trailer with Porch for Sale in Texas!!! There's a spot in the mobile food concession business scene! 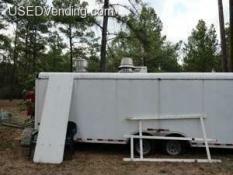 Fill it in with this 22' long food concession trailer with porch that is in very good condition. More details can be seen below. 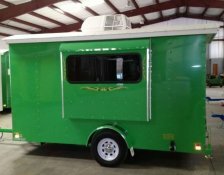 Start a whole new adventure with this 2013 model food concession trailer that is 8.5' wide and 26' long! 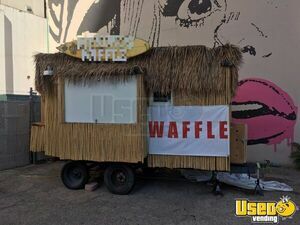 See more details of this awesome mobile food concession unit below. 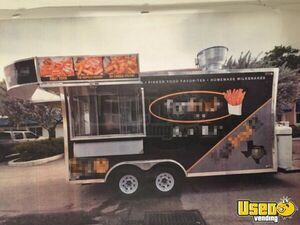 2011 - 8' x 20' Food Concession Trailer for Sale in Texas!!! 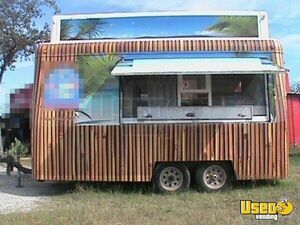 Right here is a great starter for your very own mobile food concession business! 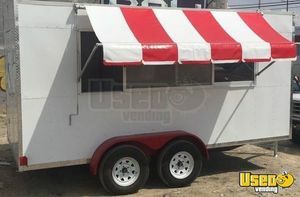 This is a 8' x 20' 2011 model food concession trailer that is in very good condition! More details of this trailer can be seen below. 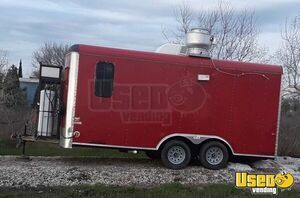 8' x 18' Food Concession Trailer for Sale in Texas!!! Are you ready for the street food action? 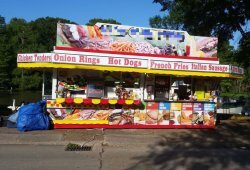 Get started with this 2008 model food concession trailer that's 8' wide and 18' long! See more details below. 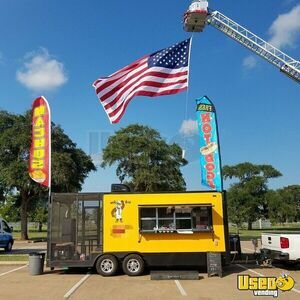 8' x 20' BBQ Concession Trailer for Sale in Texas!!! This is a turn key operation concession trailer that you cannot miss! 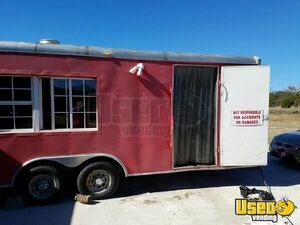 This is a very good condition BBQ concession trailer that's 8' wide and 20' long! 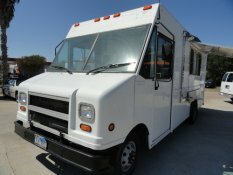 Get this now and start your mobile food business career! More details shown below. 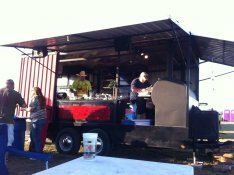 8' x 16' BBQ Concession Trailer for Sale in Texas!!! 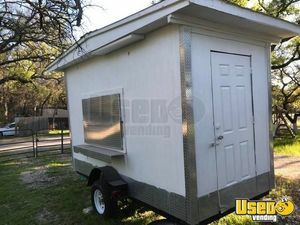 4' x 8' Food Concession Trailer for Sale in Texas!!! 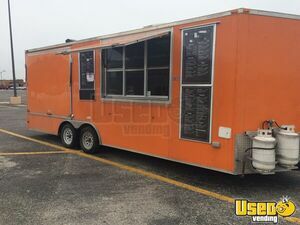 2015 - 8.5' x 20' Mobile Kitchen Food Concession Trailer for Sale in Texas!!! Unleash your culinary creativity with a food concession trailer that features cooking flexibility! 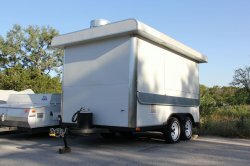 Available now is this 2015 model mobile kitchen food concession trailer that is 8.5' wide and 20' long! See more details and features down below. 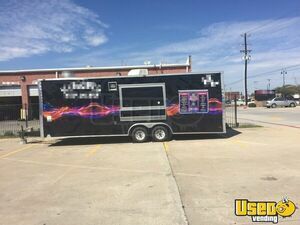 2017 - 8' x 16' Food Concession Trailer for Sale in Texas!!! 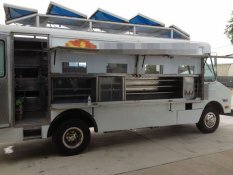 This top notch rolling kitchen with ovens and refrigerated work station is available now! 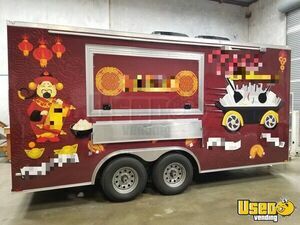 This is a 2017 model food concession trailer that is 8' wide and 16' long. More details of the trailer can be seen below. Make the best investment for your concession business now! 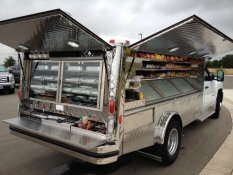 Get this awesome food concession trailer that's 8' wide and 16' long. See more details below. 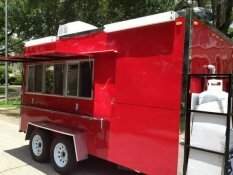 6.5' x 13.5' Food Concession Trailer for Sale in Texas!!! 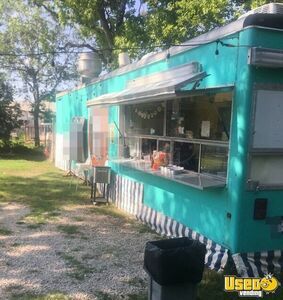 Get your hands on this 2004 model food concession trailer that's well maintained and in good condition. See more features of this concession unit below. 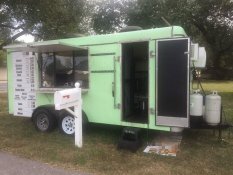 Full Service BBQ & Smoker Vending Trailer... 8' x 18' Fully Loaded and ready for service..this is a Smoking or BBQ machine in very good condition. See details for features. 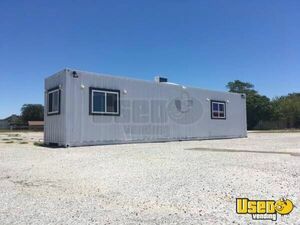 2017 - 8' x 40' Converted Shipping Container for Sale in Texas!!! Don't miss out on this awesome opportunity! This awesome Shipping Container Conversion is up for grabs! This 2017 - 8' x 40' Shipping Container is ready to be customized- it has already been converted for adding your own stuff and even has a bathroom! Could even become a TINY HOUSE! Check out more details below. 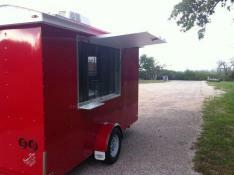 2014 7' x 16' Food Concession Trailer for Sale in Texas!!! 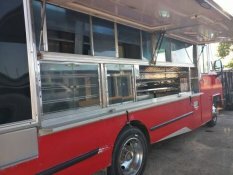 It's never too late, get this concession trailer now and a start the most awesome mobile business in the city! 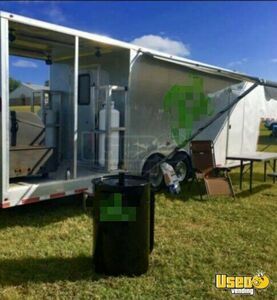 This 2014 7' x 16' Food Concession Trailer has a lot of space for you to put all the equipment that you need. More details of this unit shown below. 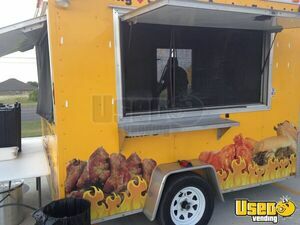 8.5' x 28' BBQ / Food Concession Trailer Mobile Kitchen for Sale in Texas!!! 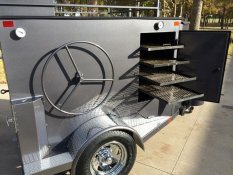 You're not dreaming, It's a real BBQ competition grade rig that's capable of handling multiple cuisines as well as BBQ! 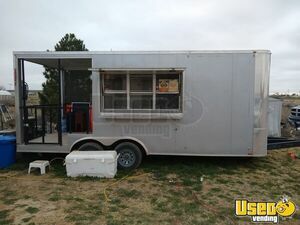 This is an 8.5' x 28' Food Concession Trailer that is in like new condition. 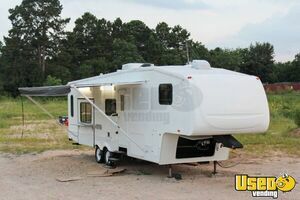 You can check out more details of this unit below. 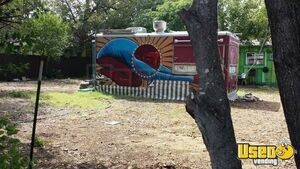 2015 - 15.5' Food Concession Trailer for Sale in Texas!!! A unique trailer that's equipped is up for grabs! This 2015 model Food Concession Trailer that's 15.5' long can be a nice unit for your mobile business! See more details below. What more can you ask for? It's a Full Complete Turnkey Business with interior restroom! Don't miss out on this once-in-a-lifetime opportunity. 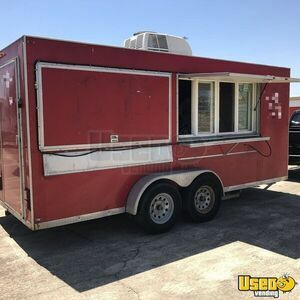 This 2002 - 8' x 18' Food Concession Trailer is loaded to the gills with high quality commercial equipment, capable of cooking / catering for any size crowd and literally any food type. This business may include some VERY high profile, hard to get upcoming events for the right buyer (Inquire about this! ) Seller will include all recipes. 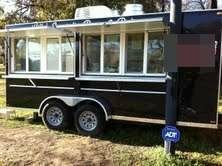 40' Food Concession Trailer for Sale in Texas!!! Check this out! It's a Food Concession Trailer that's' set for daily cook out! 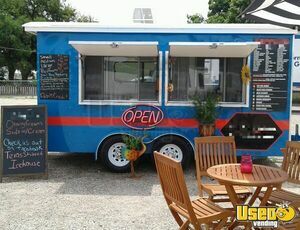 This is a 1995 model 40' Food Concession Trailer that has 7.5' of inside standing height! More details shown below! 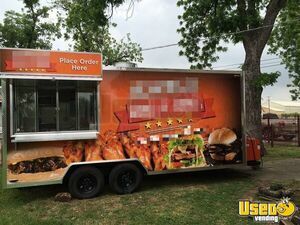 2014 - 8' x 16' Food Concession Trailer for Sale in Texas!!! Check this unit out! It's an awesome concession trailer that you'll get! Don't miss this one out! 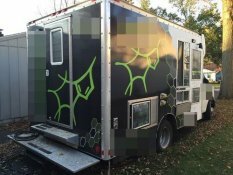 This is a 2014 - 8' x 16' Food Concession Trailer that's in very good condition! More details of the unit shown below! 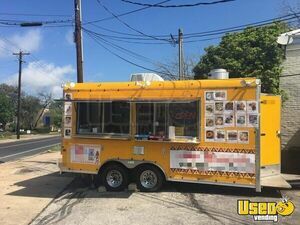 8' x 29' Mobile Kitchen Food Concession Trailer for Sale in Texas!!! Eye-catching. Clean. Ready to work for YOU! This is a 29' 2014 Mobile Kitchen Food Concession trailer - soooo roomy- inside ceiling ht is 7ft 5 in, width is 8ft 4 in. Check out more details of the trailer below. Your SUPER CLEAN, turnkey ready all commercial kitchen awaits! 2009 - 18' Wells Cargo Mobile Kitchen Food Concession Trailer that has 7.6' of inside standing height. See more details below. Cook inside a kitchen that screams quality! 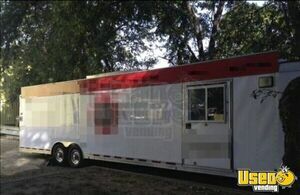 Hurry up and grab this 2006 model 8' wide and 33' long food concession trailer that features a loaded kitchen inside! 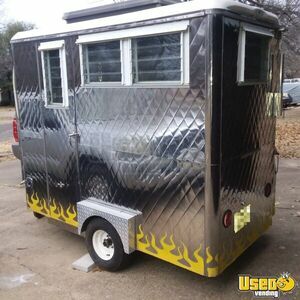 See more details and features of this kitchen trailer down below. 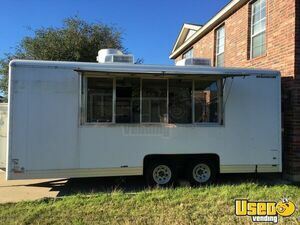 For Sale in Texas - This is a 2002 - 80'' x 24' Mobile Kitchen Food Concession Trailer that has 10' of inside standing height. Check out more details below. 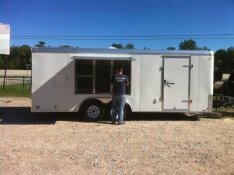 2011 - 7' x 11.5' Food Concession Trailer for Sale in Texas!!! 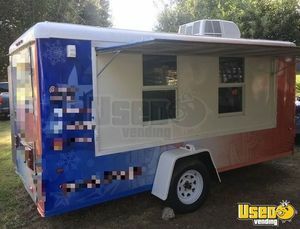 For Sale in Texas - This is a 2011 - 7' x 11.5' Food Concession Trailer that is in very good condition. See more details of the concession trailer below. 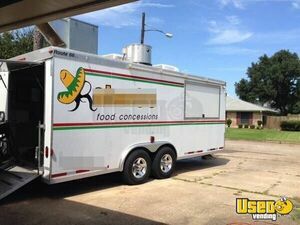 20' Food Concession Trailer for Sale in Texas!!! 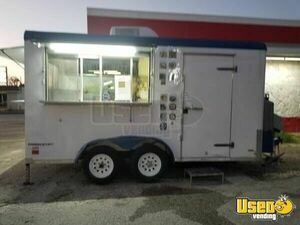 For Sale in Texas - This is a 2002 - WAYMATIC 20' Food Concession Trailer that has 8.5' of inside standing height. More details of the trailer shown below. 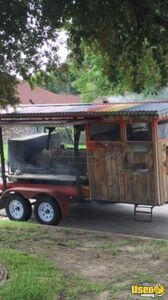 For Sale in Texas - This is a 8' x 30' BBQ Concession Trailer with Porch that has 7' of inside standing height. Unit is in like new condition. More details shown below. 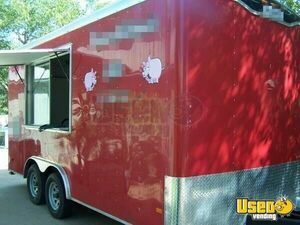 NEW Custom BBQ Concession Trailer for Sale!!! 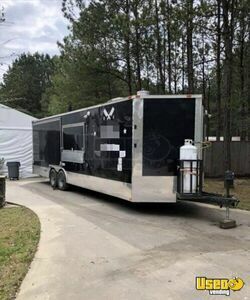 BRAND NEW 2019- Custom built BBQ concession trailer with porch, installed with your choice of equipment! 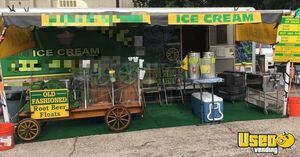 2016 - 7' x 16' Ice Cream or Snowcone Concession Trailer for Sale in Texas!!! 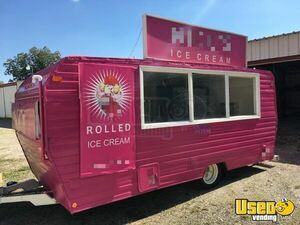 For Sale in Texas - This is a 2016 - 7' x 16' Ice Cream Concession Trailer that's in like new condition. 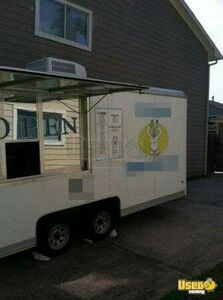 Also has a snow cone machine for shaved ice & inventory for both! Like new, used only twice locally. More details shown below. 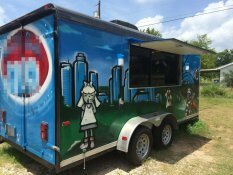 2016 - 8' x 20' Food Concession Trailer for Sale in Texas!!! 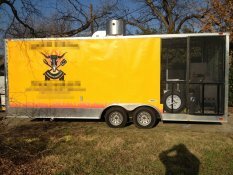 For Sale in Texas - This is a 2016 - 8' x 20' Food Concession Trailer that has an inside standing height of 8'. Check out more features of the concession trailer below. 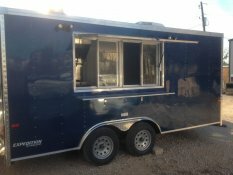 2016 8' x 12' Food Concession Trailer for Sale in Texas!!! 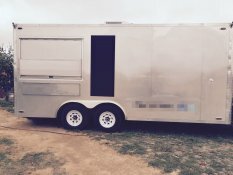 For sale in Texas- this is a 2016 8x12 ft tandem trailer. 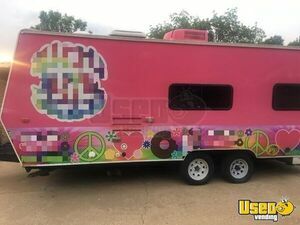 8' x 14' Mauna Kea Shaved Ice/ Ice Cream Trailer for Sale in Texas!!! 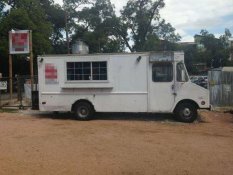 For Sale in Texas - This is a 2003 - 8' x 14' Food Concession Trailer that has equipment installed and 9' inside standing height. See more details below. 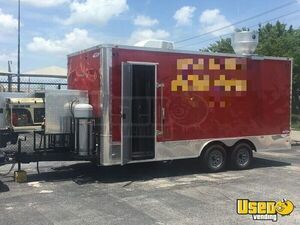 2013 - 8.6' x 16' Food Concession Trailer for Sale in Texas!!! Make the right choice! 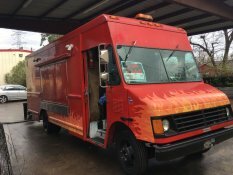 Get this 2013 model Wells Cargo food concession trailer now and start the street food business of your dreams! This trailer is 8.5' wide and 16' long. You can check more details and features of this concession unit below. 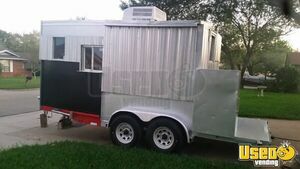 NEW - 8.5 x 18 Food Concession Trailer Mobile Kitchen for Sale!!! Brand new - Never used! 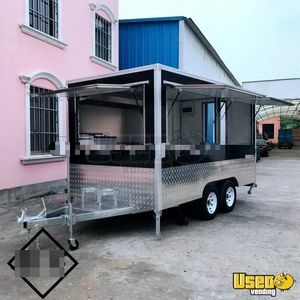 2018 food concession trailer with 5 year warranty on trailer itself. Has all new equipment with manufacturer's warranty. This fully loaded mobile kitchen is equipped for any cuisine. See details for specs. 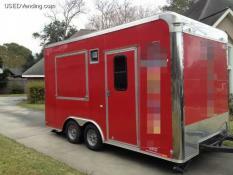 The current trailer in this listing is Brandywine colored- but can be ordered in any color. 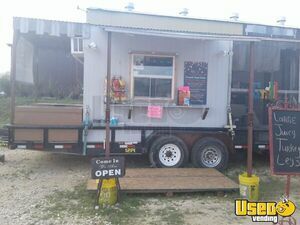 2011 8' x 14' Food Concession Trailer for Sale in Texas!!! 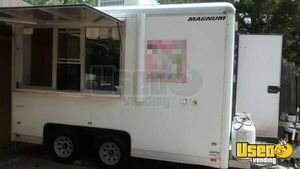 For sale in Texas - This is a 2011 Magnum concession trailer that was only slightly used. It is 8' x 14'. See details below. 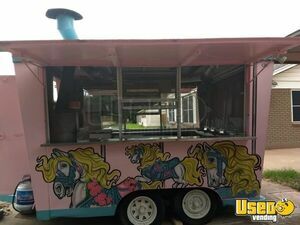 For sale in Texas - This is a 2012 Food concession Trailer that is 7' x 12' in dimensions and has a 7'8'' for the inside standing height. Feel free to look at details below. 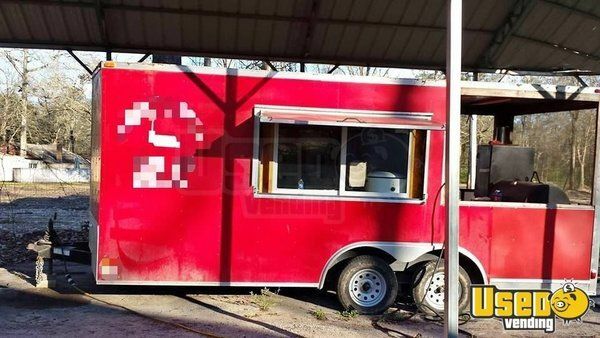 6' x 10' Food Concession Trailer for Sale in Texas!!! So unique! 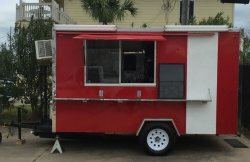 6' x 10' Food Concession Trailer. Ready to go. See details for specs & equipment. 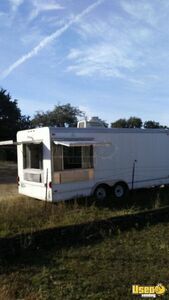 2005 Concession Trailer, 8x20, for sale in Texas. Can be used for any type of food. Very good condition. See details. 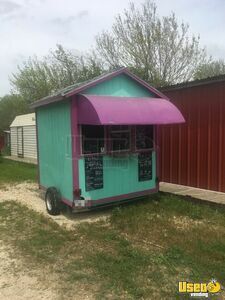 For sale in Texas- this is a 1997 -20' concession trailer that is equipped for foods like Crepes, salads, milkshakes, kebabs, burgers, and more. Good condition. See details for features & equipment. Thank you Melissa for finding us such a wonderful buyer and helping us make the whole process so smooth and for being so responsive to all our questions we had along the way!! It was a pleasure working with you and hopefully we'll have another opportunity to work with each other again!! ...helped get my BBQ Smoker trailer sold with zero amount of stress. 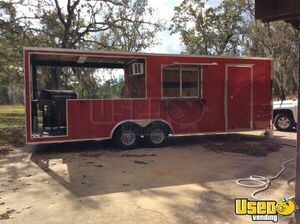 UsedVending and it's staff member, Wendy Byrd, helped get my BBQ Smoker trailer sold with zero amount of stress. The process was very easy as well. Everything went smoothly. Will use them at any time in the future if needed. They did all the work and and brought me the buyer. It was so easy. Working with usedvending.com was a breeze. They did all the work and and brought me the buyer. It was so easy. If I had a question or concern Bradley got me immediate answers; Everything went smooth on the sale. Bradley was very helpful with the purchase of our cooking trailer. If I had a question or concern Bradley got me immediate answers. Everything went smooth on the sale. If i ever have a need or another unit they will be where I go to. Thanks again for your help Bradley. I most definitely recommend Used Vending. Melissa Powers with Used Vending is Awesome! She made the process very easy. Any question I had she answered quickly, all I had to do is give her a text. She even helped me with the finance company I was using. I most definitely recommend Used Vending. Melissa is a rock star! ...you just don't find this kind of service anymore. Melissa, thank you for all your help you gave us locating our new concession trailor. The service you provided was great from start to finish. You just don't find this kind of service anymore. So we greatly appreciate you and your company for being there. We will definitely be back in touch with you for our next purchase. As you know this was number 2 - can't say enough about the service, keep it up and you will over exceed everyone in your industry, again Thank You. ...you made it very easy for me sell. 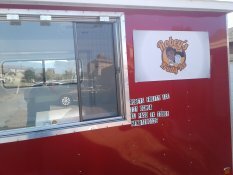 Thanks crissy for all your help with the sale of my food truck, you made it very easy for me sell. Thanks for a nice and easy transaction! I love my new trailer. I worked with Stacy Sweet. He was very knowledgeable in trailers and gave me good advice. He always answered my questions with a quick turnaround. When I asked for something custom he got it done. Thanks for a nice and easy transaction! I love my new trailer. This message is to say thank you for what you have done. You made the entire process so easy and quick. I just want to tell your bosses that you are a keeper. Fabulous job and if I ever decide to purchase another truck, I will not hesitate to give you a call. I will definitely refer your company to all of my friends. 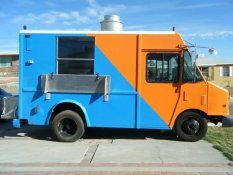 Following is a picture of what the truck looked like and what it will look like after the wrap is complete. Again thanks for everything. ...sent us a great buyer. Paperwork was a breeze. Melissa Powers never gave up! She kept sending buyers our way until we sold. She did a great job in helping us to sell our unit and sent us a great buyer. Paperwork was a breeze. A very professional sales person and site. Melissa Powers did a great job in handling the purchase of our new vending trailer. 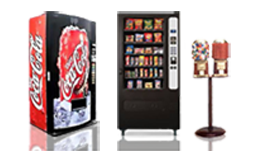 I would not hesitate to contact usedvending.com for future needs or to refer them to someone else. A very professional sales person and site.